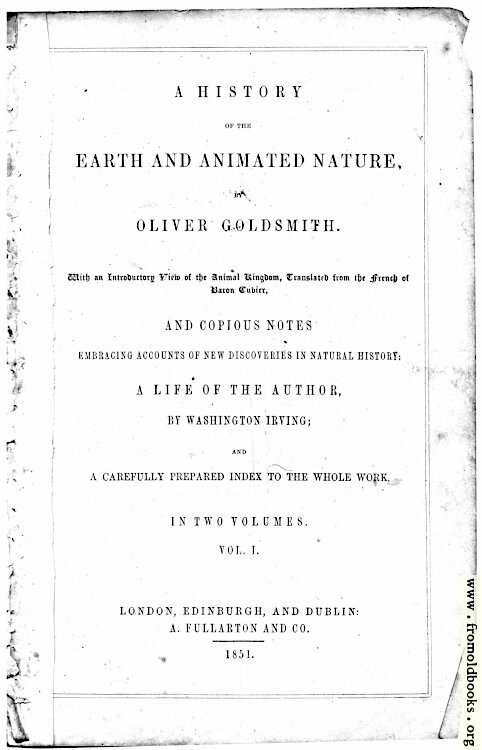 The title page is somewhat damaged. 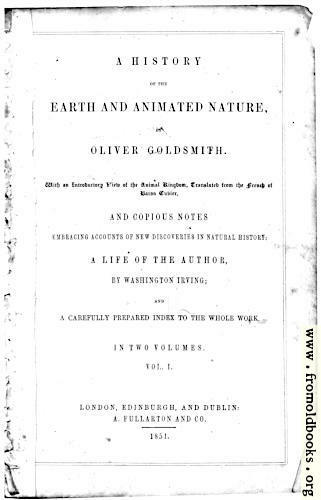 A life of the author, by Washington Irving; and a carefully prepared index to the whole work. In two vlumes. Vol. 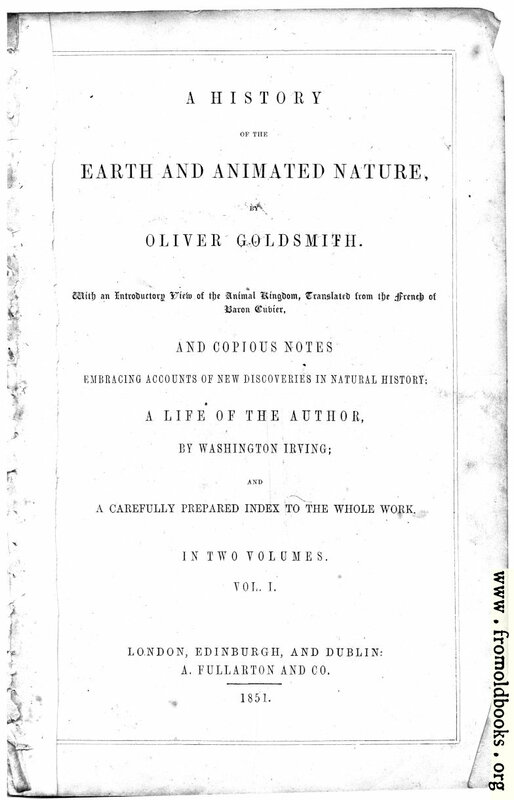 I.
London, Edinburgh, and Dublin: A. Fullarton and Co.